PILOT LAW, P.C. will respond to direct inquiries from site visitors, but PILOT LAW, P.C. does not otherwise use information collected from visitors to our site for marketing or recruiting purposes, and PILOT LAW, P.C. does not provide or sell such information to third parties. We do use the information supplied by you or your browser to track the popularity of this site and the usefulness of particular links or features. We do not use this information to target individuals for marketing or recruiting. We also do not currently use “cookies” — files written to your computer and designed to help track website visitors’ surfing activities. We reserve the right to change this policy at any time without advance notice. If we do change our policy, the new policy will not go into effect until it is posted here and will only apply to information collected after the new policy goes into effect. If you have any questions about this policy, please contact us. 1. Disclaimer. Materials on this Site have been prepared by PILOT LAW, P.C. for general informational purposes only. These materials do not, and are not intended to, constitute legal advice. These materials may be considered advertising in your state. PILOT LAW, P.C. does not wish to represent anyone desiring representation based upon viewing this Site in a state where this Site fails to comply with all laws and ethical rules of that state. 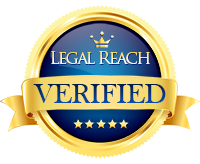 The information provided at this web site is not privileged and does not create an attorney-client relationship with PILOT LAW, P.C. or any of the firm’s lawyers. The act of sending an e-mail to PILOT LAW, P.C. or any attorney at PILOT LAW, P.C. , or submitting a form response or other materials through the Site, will not create an attorney-client relationship. If you are not currently a client of PILOT LAW, P.C. , your e-mail will not be privileged and may be disclosed to third persons. This web site is not an offer to represent you. You should not act, or refrain from acting, based upon any information at this web site. 2. Grant of License. This Agreement provides you, the Visitor, with a personal, revocable, nonexclusive, nontransferable license to use this Site conditioned on your continued compliance with the Terms and Conditions of this Agreement. Visitors may print and download materials and information on this Site solely for personal and noncommercial use, provided that all hard copies contain all copyright and other applicable notices contained in such materials and information. A Visitor may not modify, copy, distribute, broadcast, transmit, reproduce, publish, mirror, frame, license, transfer, sell, or otherwise use any information or material obtained from or through this Site. As a further condition of use of this Site, all Visitors warrant to PILOT LAW, P.C. that they will not use this Site for any purpose that is unlawful or otherwise prohibited by these Terms and Conditions. Any rights not expressly granted herein are reserved. 3. Intellectual Property Rights. All material contained on this Site, unless otherwise indicated, is protected by law, including, but not limited to, United States copyright, trade secret, and trademark law, as well as other state, national, and international laws and regulations. The contents of this Site are © 2004 PILOT LAW, P.C. , All Rights Reserved. Removing or altering the copyright notice on any material on this Site is prohibited. PILOT LAW, P.C. also owns a copyright in the Site as a collective work and/or compilation, and in the selection, coordination and arrangement of the Site’s content. Note: The contact information above is provided exclusively for notifying PILOT LAW, P.C. of copyright or other intellectual property infringement. For unrelated inquiries (e.g. requests for general firm information or technical assistance), please contact Pilot Law through our online contact form. 6. Collection of Personal Data from Children. PILOT LAW, P.C. does not knowingly solicit information from children and we do not knowingly market the Site or its services to children. No one under the age of 13 should submit any personal information to PILOT LAW, P.C. and/or the Site. 7. Links to Other Sites. PILOT LAW, P.C. may provide links, in its sole discretion, to other sites on the Internet for the convenience of its Visitors in locating related information and services. Third parties over whom PILOT LAW, P.C. exercises no control maintain these sites. Accordingly, PILOT LAW, P.C. expressly disclaims any responsibility for the privacy policies, information collection practices, the content, the accuracy of the information, and/or quality of products or services provided by or advertised on these third-party web sites. Moreover, these links do not imply an endorsement with respect to any third party or any web site or the products or services provided by any third party. 8. DISCLAIMERS. WHILE PILOT LAW, P.C. ENDEAVORS TO PROVIDE THE MOST ACCURATE, UP-TO-DATE INFORMATION AND MATERIALS AVAILABLE, THE INFORMATION AND MATERIALS AVAILABLE ON THIS SITE MAY INCLUDE INACCURACIES OR TYPOGRAPHICAL ERRORS. MOREOVER, PILOT LAW, P.C. MAY MAKE MODIFICATIONS AND/OR CHANGES IN THIS SITE OR IN THE INFORMATION AND MATERIALS AVAILABLE ON THIS SITE AT ANY TIME, FOR ANY REASON. IN NO EVENT SHALL PILOT LAW, P.C. BE LIABLE FOR ANY INDIRECT, PUNITIVE, INCIDENTAL, SPECIAL, OR CONSEQUENTIAL DAMAGES ARISING OUT OF OR IN ANY WAY CONNECTED WITH THE USE OF THIS SITE OR WITH THE DELAY OR INABILITY TO USE THIS SITE, OR FOR ANY INFORMATION AND MATERIALS AVAILABLE ON THIS SITE, OR OTHERWISE ARISING OUT OF THE UTILIZATION OF THIS SITE, WHETHER BASED IN CONTRACT, TORT, STRICT LIABILITY, OR OTHERWISE, EVEN IF PILOT LAW, P.C. HAS BEEN ADVISED OF THE POSSIBILITY OF DAMAGES. BECAUSE SOME STATES/JURISDICTIONS DO NOT ALLOW THE EXCLUSION OR LIMITATION OF LIABILITY FOR CONSEQUENTIAL OR INCIDENTAL DAMAGES, THE ABOVE LIMITATION MAY NOT APPLY. 9. Governing Law. The laws of the State of California will govern this Agreement without giving effect to the choice of law provisions thereof and all parties to this Agreement expressly agree to be subject to the jurisdiction of courts in the City of San Diego, State of California.